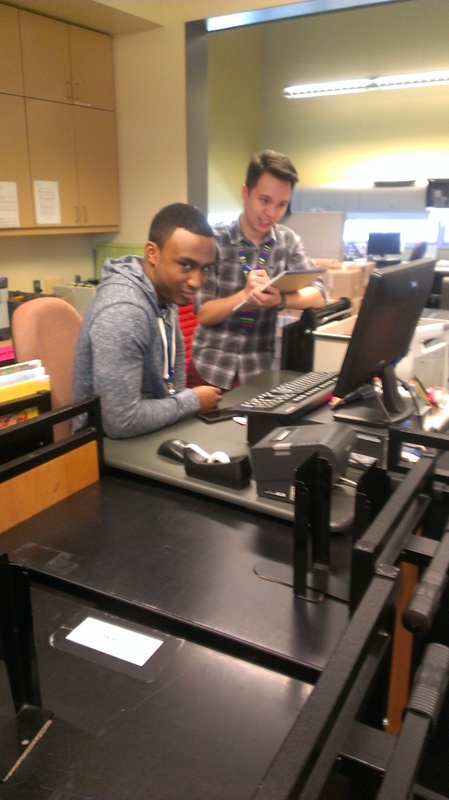 Last Call…find gainful employment @ your library! We’re hiring for our awesome Student Assistant employment pool right now. a starting wage of $13.02 an hour! DEADLINE FOR APPLICATIONS IS April 30th! TOMORROW!! 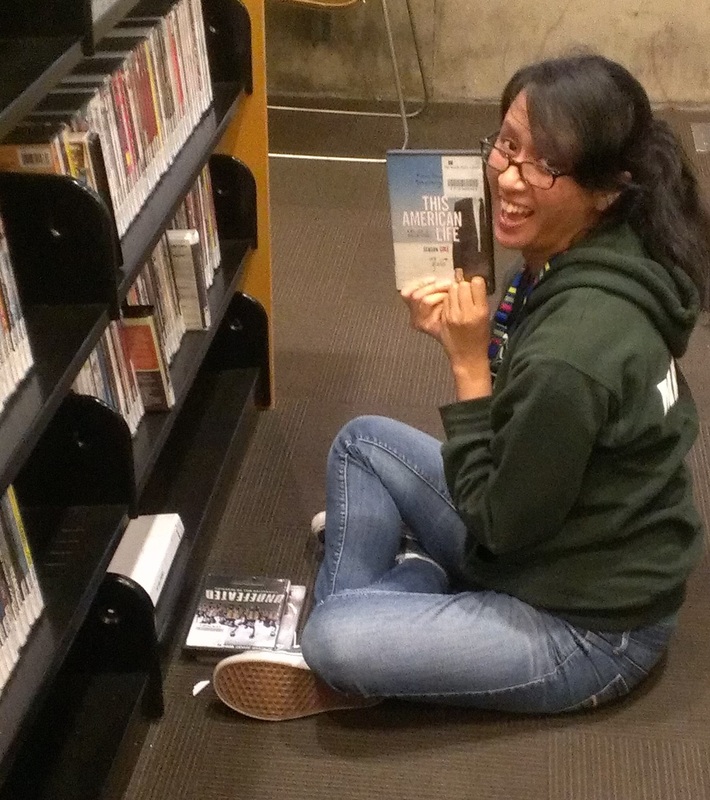 This entry was posted in Careers, Community, Employment, Libraries, Seattle, Who knows? and tagged Employment, Libraries, more $$ than flipping burgers & no smell, Seattle, student assistant job on April 29, 2014 by Rae. Derrick: How did you hear about the program? Devon: My brother worked as a Student Assistant during high school. He told me about the program and encouraged me to apply because of the flexible hours and attractive pay. Interested in the position, I volunteered just down the street from my high school at Lake City once a week to get a feel for the work environment. After getting my feet wet for about a year and half, I was finally hired as a Student Assistant at Northgate. The position is for three years and my term is finally coming up. Derrick: How has this job helped you grow professionally? Devon: I have learned how to treat everyone in a calm and respectful manner. In this way, I have been able to improve my customer service skills. The library has also provided free training sessions on safety and intellectual freedom that I have taken. In addition to this, I have learned how to use e-mail, computer software, using the cash register, printers, and copiers. I believe most jobs will require these skill sets so I believe that the library has effectively prepared me. Derrick: What is it like working with and helping people from different backgrounds? Devon: It can be challenging at times, but also really rewarding and fun. I get to experience other people’s cultures. It shapes my perspective and I feel because of it, I have become well-rounded. In addition to this, being biracial, I recognize and accept that there are different point-of-views. Derrick: What will you miss most about being a Student Assistant? 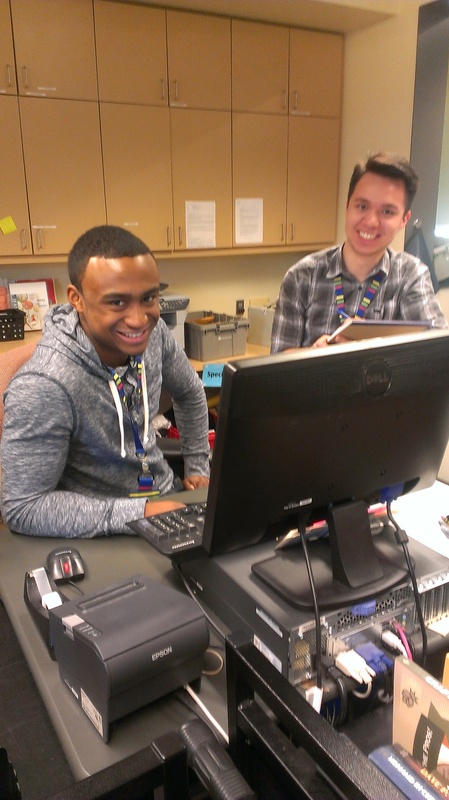 Devon: I think I’ll miss the relaxed environment and the benefit of a flexible schedule while in school. Most of all, I will definitely miss the wonderful staff here. Everyone is so helpful and professional here at the library. Derrick: So what are your plans for the future? Devon: I am hoping to apply for a permanent position as a Library Associate through the Continuous Recruitment Program offered by the library. It is a way for the library to keep current employees’ applications for up to a year in hopes that they find a position they like. Check out Nasiroh’s profile, our “newbie” STA. And, remember, you have until April 30th to return your application materials. So get’er done! This entry was posted in Careers, Community, Employment, Libraries, Library Links, Seattle and tagged Employment, Northgate, student assistant job on April 19, 2014 by Rae. Nasiroh is a recent Student Assistant at Northgate. Nasiroh was interviewed by Derrick, a fellow staffer and former STA. She currently attends the University of Washington. Visit our website to learn more about the Student Assistant program and apply online! Derrick: How did you hear about the STA program? Nasiroh: I actually heard it through friends and family that went through the STA program. They told me it was a really cool and fun experience and that it was a good place to meet people. The program is also designed for students so they really work around your school schedule which is a bonus because not many places offer that. Also the fact that as a student you know that the program last for 3 years is a nice sense of security with many opportunities to move up within the library system is very encouraging. One of the great things that the STA program offers is that you don’t need a lot of experience to apply because they are one of the few programs that look for people who don’t have experience so that they can teach you and give you job experience. I wish I had known about the program in my high school years as I would have liked to done it earlier. Derrick: Did you have a job before this one? Nasiroh: I’ve had multiple jobs before this one. My last job was telephone fundraising with the University of Washington at the Student Calling Program for the Office of Annual Giving. Basically it was a program by students for students that gave annual scholarships. It was a good way to make meaningful connections with people from different backgrounds. I can honestly say that working there compared to working at the library are different as the calling center wasn’t as regulated and could be very silly at times while the library is relaxed with understood rules. One of the nice things about working in the library is that the atmosphere helps you transition into understanding what a more professional environment is like without being overwhelming. They still understand how to keep things casual, have fun, and joke around, but at the same time know how to interact with people on a more professional level. Derrick: What’s your favorite part of the job? Nasiroh: I really enjoy working with the staff. They are all really nice and professional. I also like how we also provide many free events and services for the community like movie screenings at the Northgate Branch, tax help, and had I known about homework help in high school I would have definitely taken advantage of it. Derrick: What other advice can you share with teens? Nasiroh: Don’t get discouraged! Even if you don’t get accepted the first time or pass your first interview, keep trying. Pay attention to all the instructions and deadlines. I would suggest to people who are considering applying to work on your application and cover letter, get good recommendations from teachers and past employers help as well. I think one thing people forget is that volunteer work is considered experience, so if you have gotten involved with anything in any way, list it. As always, approach it professionally and put your best foot forward! This entry was posted in Careers, Community, Employment, Libraries, Library Links and tagged Employment, Northgate, student assistant job on April 12, 2014 by Rae. Want to make $11.55/hour working at the library? Of course you do! The Seattle Public Library hires students age 16 and older to work as Student Assistants, but applications are only accepted two months out of the year—and one of those months is October. You can find more information and the application packet at http://www.spl.org – click on Library Careers. You can also increase your chances of getting hired by attending a FREE WORKSHOP ON THE STUDENT ASSISTANT APPLICATION PROCESS at the Douglass-Truth Branch (2300 E. Yesler) on Monday, October 13, from 4-6. No need to sign up for the workshop, but if you have questions call the Douglass-Truth Branch at 206-684-4704. The workshop doesn’t guarantee that you’ll get one of the jobs, but it will cover how the recruitment process works, how to understand the qualifications, and how to prepare an effective application. Even if you don’t get a Student Assistant job this time around, the workshop will help you do a better job on future applications for any job. 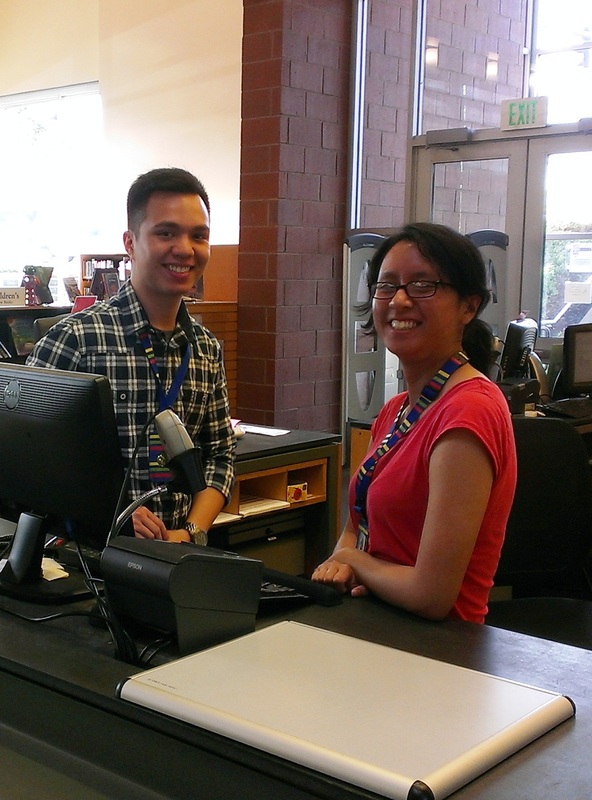 The library Student Assistant job is an awesome one—great pay, flexible hours, plus you’ll get a sneak peek at all the great books that are coming in! This entry was posted in Employment, Events, Libraries and tagged student assistant job on October 4, 2008 by pushtotalkteens.